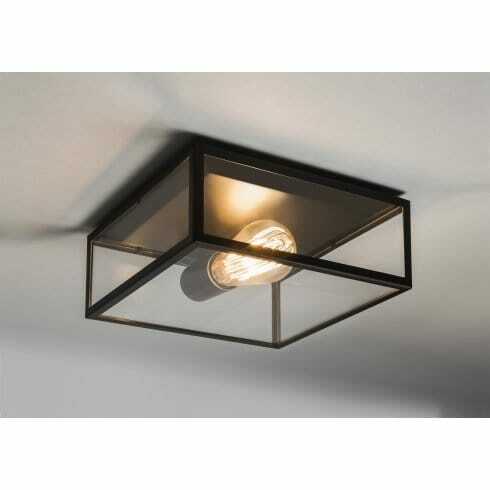 Astro Lighting Bronte single light exterior porch ceiling fitting features a rectangular box shaped frame in matt black finish with clear glass panels. The product code for this Astro Lighting ceiling fitting is 7388. Also available in polished nickel finish and a wide range of porch ceiling fittings can be viewed on our website.